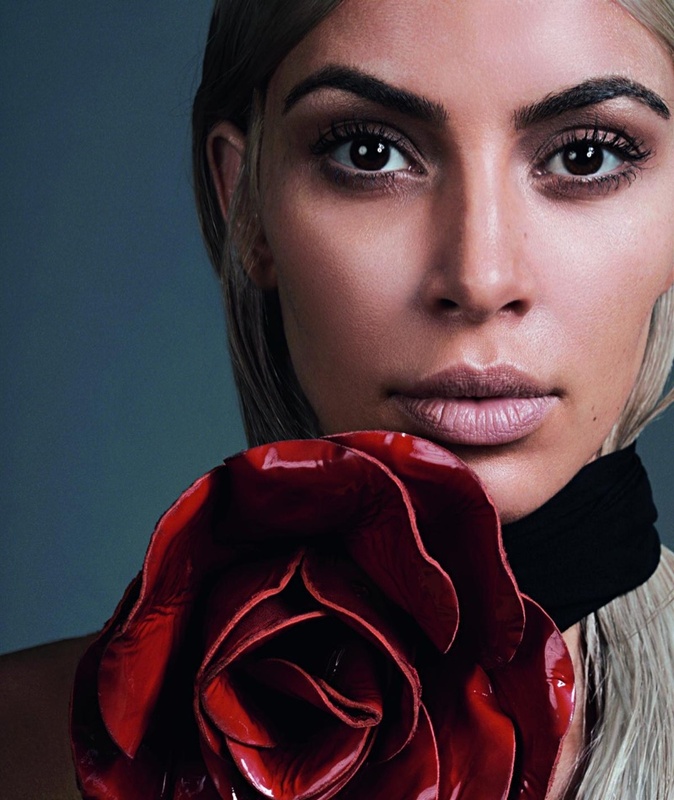 Kim Kardashian flaunts some skin on the December 2017 cover of S Moda. Lensed by David Slijper, the blonde beauty poses in a low-cut dress from Saint Laurent with a floral choker necklace also from the French label. In the accompanying shoot, Kim wears simply chic looks in the portraits. Stylist Francesca Rinciari dresses the 37-year-old in leather jackets and crisp shirts.